Two years ago, Anne Meier-Davis was creating stained glass art in her studio at the north end of College Avenue in Fort Collins. Stained glass had been her medium for about 20 years, but not always in Colorado. 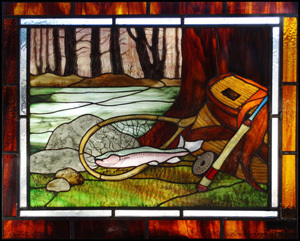 Anne had recently arrived from North Carolina, where she had collaborated with other artists on a variety of stained glass projects for residences, businesses, and churches. 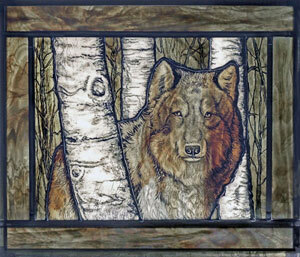 She missed having someone who could bring detail and depth to her stained glass work by painting on glass. Meanwhile, in a studio nearby, Karen Cannon was creating fine art paintings of animals — sometimes whimsical, sometimes serious, always remarkably true to physical form. The two women had barely met before Anne asked Karen if she would consider painting on glass. Karen was less than enthusiastic, thinking that Anne had folk art motifs in mind. Anne captured her interest by showing her photographs of traditional stained glass painting, and Karen researched the art extensively. At last she tried it herself and loved it. By June 2014, Karen and Anne were sharing a new studio in the same building where they had met. When I met Karen during the Fort Collins Studio Tour that month, she was busy painting a wolf on glass for one of their first projects together. Today they’re a team officially in business as River Wind Art Glass. Anne and Karen make trips together to Denver to select the glass they want to work with. Their choices are enormous at the glass wholesaler there. “It’s like walking into a Walmart that carries nothing but glass,” Anne told me when I visited their studio recently. 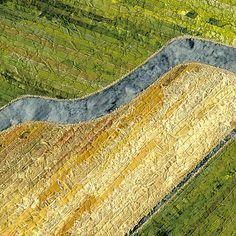 She and Karen showed me one of their purchases — a large square of glass in which reds, yellows, blues, and greens swirl chaotically. “Here’s Indian paint brush,” Anne told me, running her finger over a tall area of red. “Here’s a tropical leaf,” Karen added, pointing to a round area of green. “The glass tells you what it wants to be,” she explained. Design work begins with Karen. Not only is she gifted with a paint brush, but she can also produce fine art with computer software. In the design pictured at left, she has mimicked the multi-colored glass they plan to use for grass, rocks, and water. It’s the fine details — like the fish net, the blades of grass, the weave of the basket, and even the distant trees — that will require her skill in painting. When the digital design is complete, Karen and Anne study it together. Sometimes what makes sense from a painter’s perspective isn’t compatible with the structural principles of stained glass. Having a computer design makes adjustments much easier. It also makes it easy to add dark lines where glass will be cut and joined, to look at the overall effect of the lines, and to make changes as necessary for artistry and the integrity of the finished work. When they are pleased with the computer image, Karen sends it to her large printer for three full-size copies with muted colors and clear outlines. One copy will guide them as they work. Anne marks each segment of the design with a number that she has assigned to each color of glass. “We do color-by-number,” she told me with her quick, easy grin. Anne and Karen both need an additional copy. Anne will cut hers to use as a pattern for cutting glass, and Karen will use hers to check off all the pieces she needs to paint. She relies on Anne to cut the pieces she will need. This full-size pattern shows heavy lines where pieces of glass will be cut and then joined to create painted stained glass art from River Wind Art Glass. Taking her pattern shears, Anne begins cutting out one of the shapes defined by dark lines. These special shears look like regular shears, but they actually have three blades that produce three pieces of paper: the shape Anne cuts around, the remainder of the pattern, and a strip a few millimeters wide that lay between the desired shape and the remaining pattern. That means that all of the cut pattern pieces will be slightly smaller than they were on the original pattern, allowing space for the solder that will hold the pieces of glass together. To the back of the newly cut pattern piece Anne applies glue stick. She then presses the pattern onto glass of the designated color and cuts the glass with precision that makes Karen shake her head with admiration. Anne hands her the pieces that require painted detail. Karen mixes her paint using finely ground glass, gum arabic (also a powder), and a few drops of water. Glass ground for paint isn’t widely available any longer, but as luck would have it, one of the world’s few suppliers is located in Greeley, 22 miles southeast of Fort Collins. 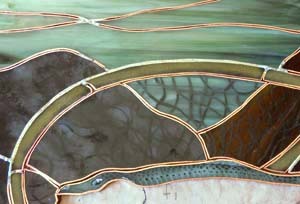 Anne Meier-Davis applied copper foil to all cut edges of glass before beginning to solder pieces together. When all of the painting is completed, Karen places the painted glass in a kiln. Heating the glass to 1175⁰ makes the paint become a permanent part of the glass without allowing the glass to round at the edges, as it does in a fused glass process. Once the glass is cool, it’s Anne’s turn again. All of the edges of glass must be covered with copper foil tape. Copper acts as a primer for solder, she explained. 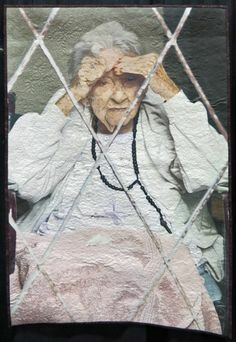 Anne cuts a strip of tape 3/16” wide and lays it along the cut side of the glass with such precision that the tape evenly overlaps the top and bottom of the glass. 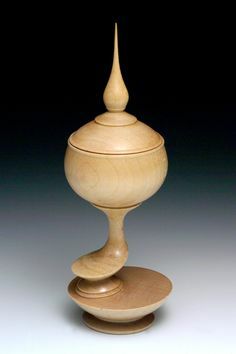 Since most glass is 1/8″ thick, that leaves just 1/32″ for overlap top and bottom. In the picture above, Anne has finished applying copper foil to all the cuts and has started soldering the pieces of glass together with a mixture of lead and tin. The exception is the lower body of the fish, missing in this close-up because of a change in their design plan. When all of the soldering is complete on one side, she flips the stained glass over and solders the other side. Finally she applies an acid wash to the solder to create a black patina. Other colors are possible for the solder, but she feels black is best for letting the color of the glass draw observers’ full attention. While the angler’s scene was still a work in progress, with the artists’ permission I picked up the thin upper body of the fish and held it toward the light. The effect stunned me. The fish came to life between my fingers, its light blue body gleaming and illuminating the fine detail of its eye and skin. Paint and glass had come together with light in a visual statement that neither element alone could have achieved. 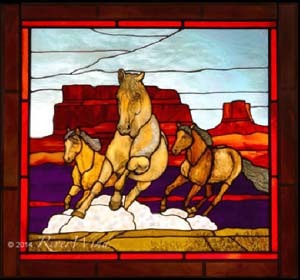 The next two weekends offer opportunities to see painted stained glass from River Wind Art Glass in person. First, Anne and Karen will be at the Home and Remodeling Show sponsored by the Home Builders Association of Northern Colorado will be at the Larimer County Fairgrounds Friday through Sunday, February 27 through March 1. 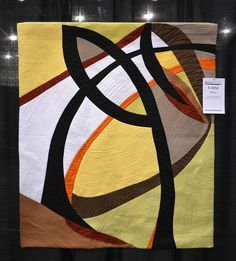 At their booth they can offer suggestions for using painted stained glass for privacy windows, room dividers, cabinet doors, and more, while visitors view samples of their work on display. The Association is also hosting a “Marketplace” where other artisans will have booths. Admission to the Home Show and Marketplace is free. 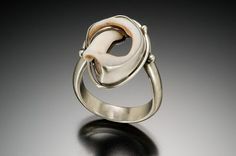 The following Friday, March 6, is the night of the First Friday Gallery Walk in Fort Collins. River Wind Art Glass, located at 400-A North College Ave., will be open for visitors. Look for the large white building at the north end of Old Town; Karen and Anne have a studio in the building’s southwest corner. 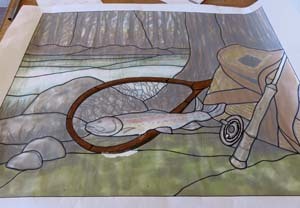 If stained glass art is something you have wanted to try, ask Anne about her plans for spring classes. 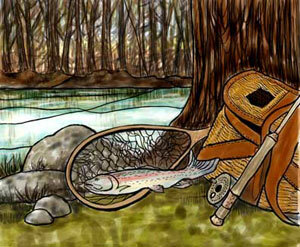 There will also be information soon at the River Wind Art Glass website. 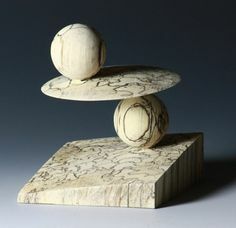 While you’re online, treat yourself to a scroll down Karen Cannon Studio on Facebook, even if you don’t have a Facebook account. Her love for animals comes out so clearly in her work, present and past. Her posts include animal portraits she was painting on canvas while she was thinking about stained glass. 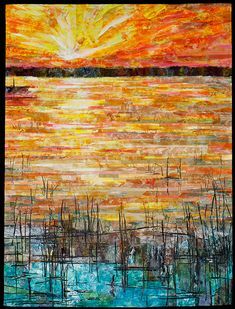 This entry was posted in Glass and tagged painting on glass, stained glass art on February 25, 2015 by Sally.